Posted on Sunday, October 6th, 2013 at 2:00 pm. *This event is part of Asian Pacific American Film – APA Film’s 2013 Free Fall Series. Film fans who enjoyed the Taiwanese American writer/director Arvin Chen’s romantic comedy Au Revoir Taipei are in for a treat! 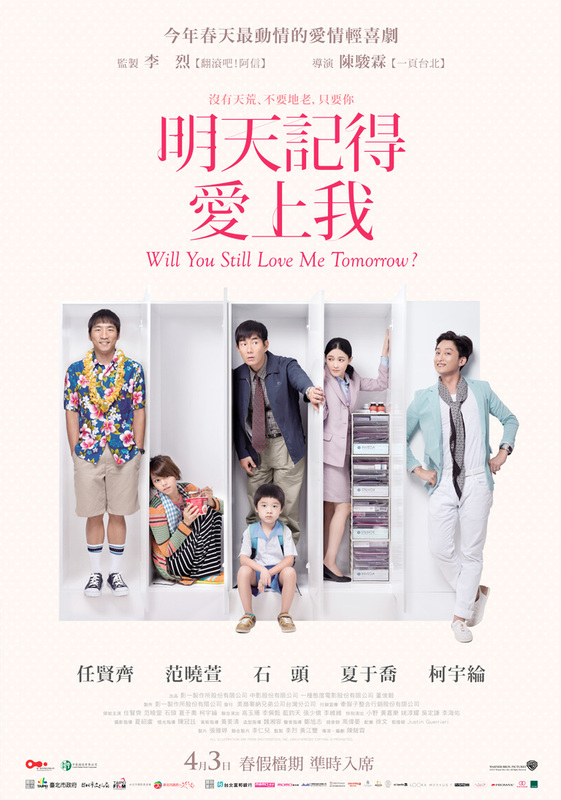 Taipei Economic and Cultural Representative Office in the United States (TECRO), in collaboration with the DC Asian Pacific American Film (APA Film), is proud to present the DC premiere of Taiwan’s Will You Still Love Me Tomorrow?, the new hit comedy-drama by Arvin Chen. The film will screen for FREE at the Freer Gallery (Meyer Auditorium) on October 6, Sunday at 2 p.m. A Q&A with film editor Justin Guerrieri, who grew up in the DC area, will follow the screening. Will You Still Love Me Tomorrow? defies the clichés of romantic comedies and tackles the dilemmas and conundrums in the relationships and lives of modern men and women. The film premiered in Berlin and Tribeca (N.Y), and will be released in the U.S. in December 2013 but you can see it in October for free! For more information, please visit the film’s official website at http://www.1production.com.tw/luvmetmr/en/detail.php?id=311.